What is the purpose of the Winch Stacker? The winch stacker is a piece of machinery that is designed to make the job of stacking crates or pallets that much easier. The stacker is a very useful tool for all sorts of transportation, haulage and storage facilities, saving time in getting the job done. This stacker can be seen on most ports as it gives dockworkers a lot of flexibility in the amount they can carry. 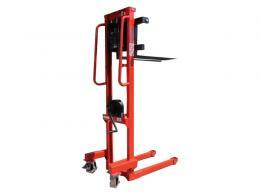 The forklift arms are ideal for carrying crates and pallets that are designed for this type of handling. 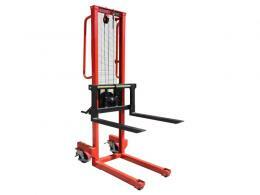 The winch stacker is also a common sight on loading bays for trucking companies. The relatively small size of the winch stacker allows it to get into and out of trucks easily, making packing and handling crates a breeze. 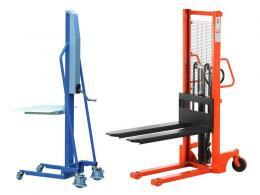 Winch stackers can be used by any number of companies dealing with haulage and transportation. In the case of companies that manufacture or market fragile goods, a winch stacker is a good addition because it allows for the careful movement of goods so that there is less chance of them being damaged during transit. Winch stackers are also a common sight at airports where they can be used with various fittings for the use of aircraft ground staff. 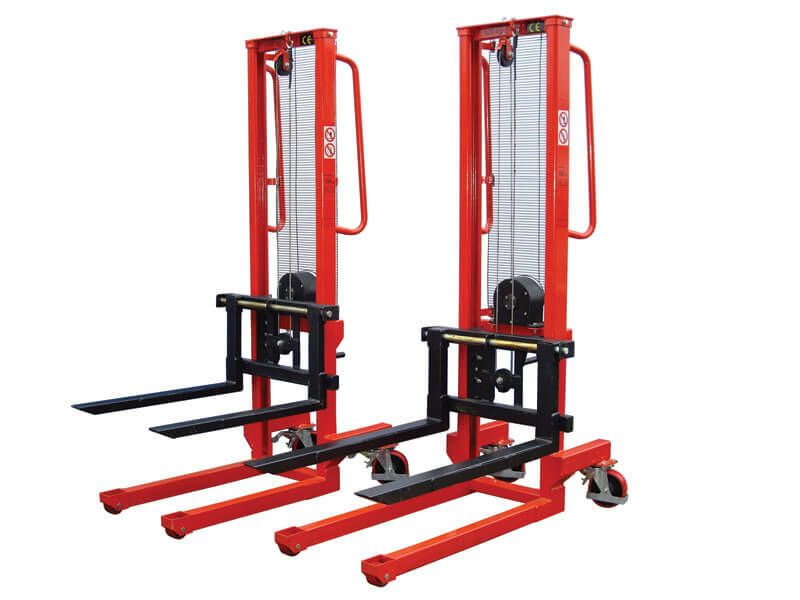 The Workplace Depot offers a winch stacker that is designed to be a great asset to any worker dealing with the movement of cargo. The winch stacker we provide to our clients has a maximum lift of 1560mm. Because we know not all crates and packing hardware comes standardised, the forklift arms are completely adjustable to fit the needs of your crew. This forklift comes in two loading varieties, one with a maximum weight capacity of 250kg and the other with a maximum load bearing capability of 500kg. The lifting speed is controlled by the driver to ensure for safe movement of goods held on the arms.